“Central Pierce Fire & Rescue will be collecting donations for the Muscular Dystrophy Association at a McKenna intersection this weekend. Firefighters will be at the intersection of state Route 702 and state Route 507 from 11 a.m. to 5 p.m. Saturday and Sunday,” quoting the Tacoma News Tribune. Be prepared for long delays going north on Hwy 507, as traffic has periodically been backed-up as far as Yelm’s Wal-Mart. STANDING ROOM ONLY (SRO) announces Summer Struck Theater Program for ages 8-18, a three week theater arts Performance Class in singing, dancing & acting. DIRECTED BY Nancy Tribush Hillman. Limited scholarships and payment plans available. Tell SRO you read about them on the Yelm Community Blog. Their programs have helped so many of our local students and families! outside Yelm, WA near the Nisqually River. 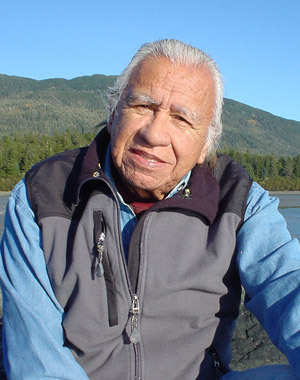 How we can honor the legacy of Billy Frank, Jr.
“Billy Frank Jr. didnt just save the salmon, he saved the people, and not just the Native American people but all people. Are we going to let the legacy of Frank and our forefathers go for naught? Let us all now fight for our future. The people of Washington might be mindful in letting the coal and oil trains pass through our lands for gains of others. I believe that Frank would say ‘I think not!’ Should we stand aside and let big oil take our streams, rivers, bays, shorelines and estuaries? The people of Washington have everything to lose, our ecosystem, our way of life, the beauty of our special place. I believe we must rise up as Frank would have and fight for our salmon and our way of life. Posted by Steve at 6:26 am | Permalink | Comments Off on How we can honor the legacy of Billy Frank, Jr.
“Delivering a major blow to state-licensed pot growers in Washington state and Colorado, the U.S. Bureau of Reclamation said today it will not allow any federally-controlled water to be used on marijuana crops. As a federal agency, Reclamation is obligated to adhere to federal law in the conduct of its responsibilities to the American people, said Dan DuBray, the agencys chief of public affairs. The decision could hit particularly hard in Washington state, with the federal agency controlling the water supply for two-thirds of Washington states irrigated land,” by Rob Hotakainen, McClatchy Washington Bureau.